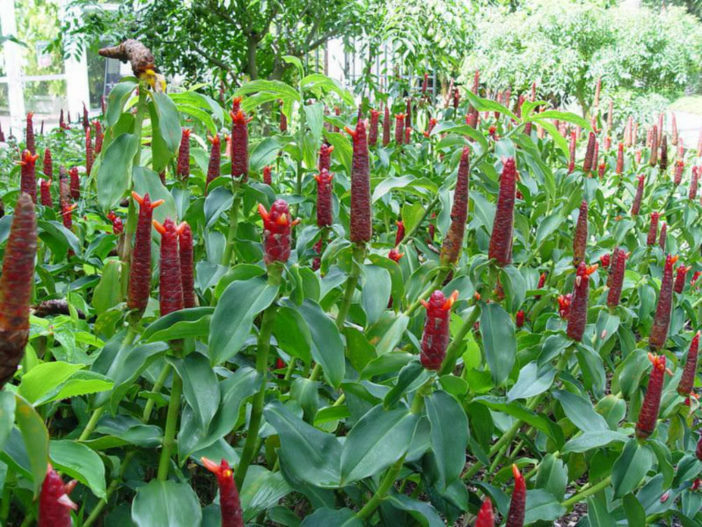 Costus spicatus is a herbaceous, perennial plant up to 7 feet (2.1 m) tall, that grows from rhizomes. 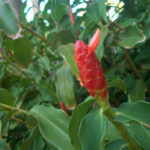 It has tropical looking foliage with leaves that spiral around the main stem. 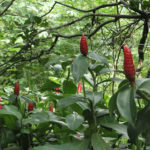 The leaves are up to 1 feet (30 cm) long and up to 4 inches (10 cm) wide. 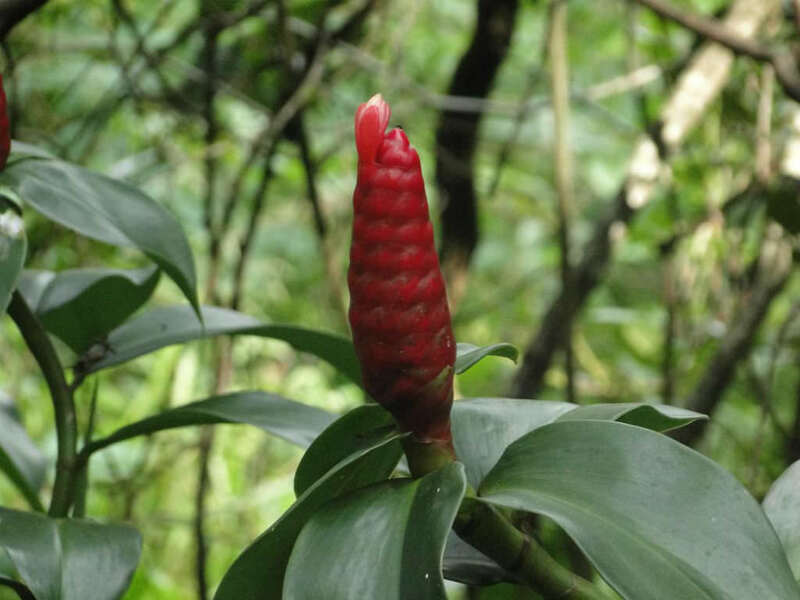 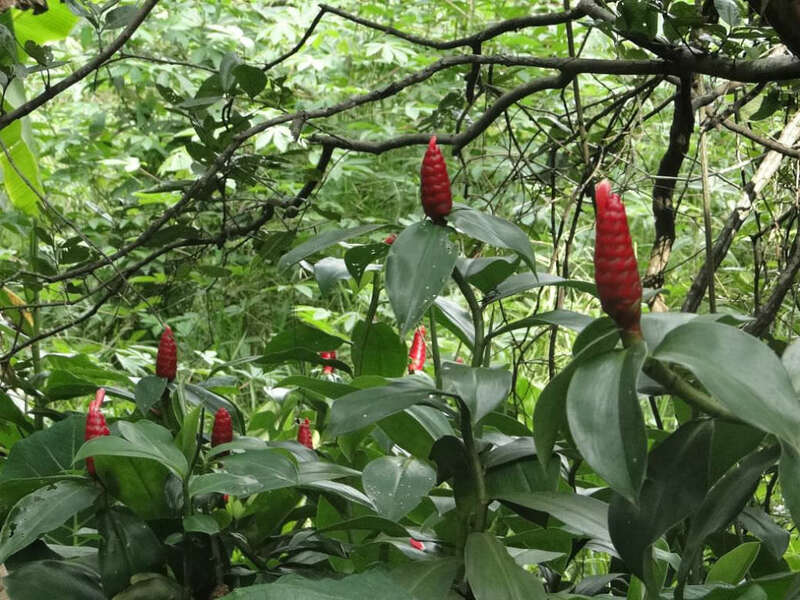 It produces a short red cone, from which red-orange flowers emerge one at a time. 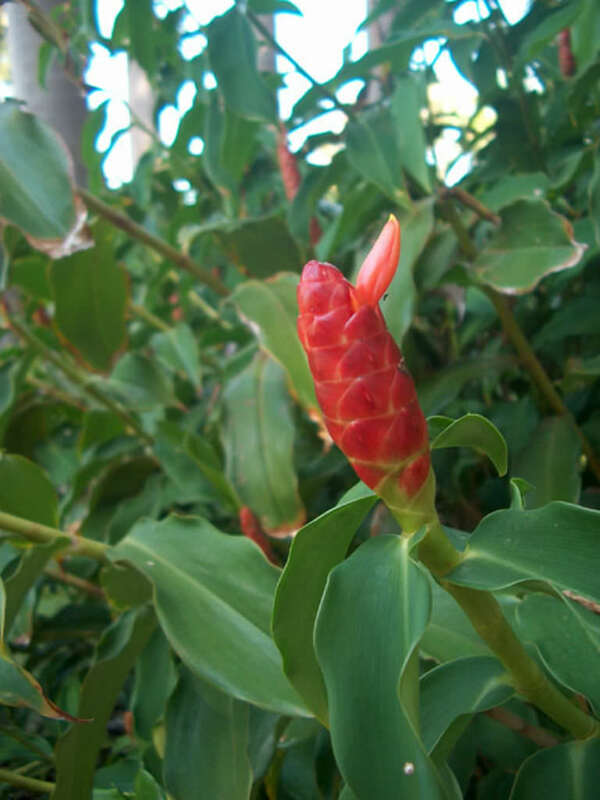 It flowers in spring and summer or year round in tropical conditions. 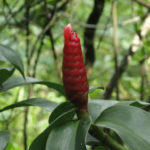 Native to the Caribbean (including Dominica, Guadeloupe, Hispaniola, Martinique, and Puerto Rico).